Registration Deadline: April 1, 2019, 11:59 p.m.
Do you have an idea for the next big thing? Enter the IQ E-Pitch for a shot at $10,000 in prizes! Have you ever thought about a new, innovative idea for a product, service or social enterprise? Do you believe it could be the basis for a successful new start-up? 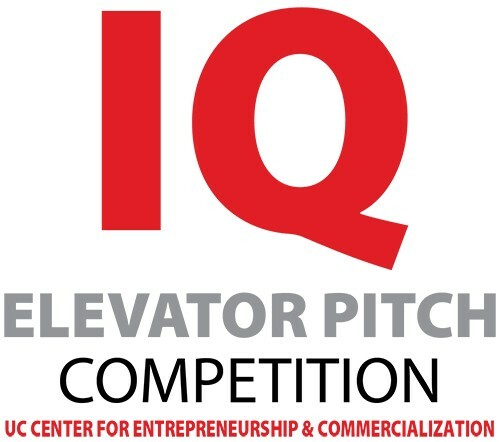 Then join us for the University of Cincinnati Innovation Quest Elevator Pitch Competition! Inventors and entrepreneurs of all kinds commonly have to request support from investors to raise capital in order to commercialize their ideas and launch start-up ventures. Busy investors don’t have much time to listen. Often you need to be able to request their support in 60 to 90 seconds, the length of one elevator ride. This “elevator pitch” competition simulates this business reality. The event is open to all UC students, and admission is free for all visitors and participants. The competition includes $10,000 in cash prizes and start-up grants.